Herefordshire Heartstart volunteers spent an enjoyable morning at Monmouth Boat Club training the junior rowers from Monmouth Comprehensive School. 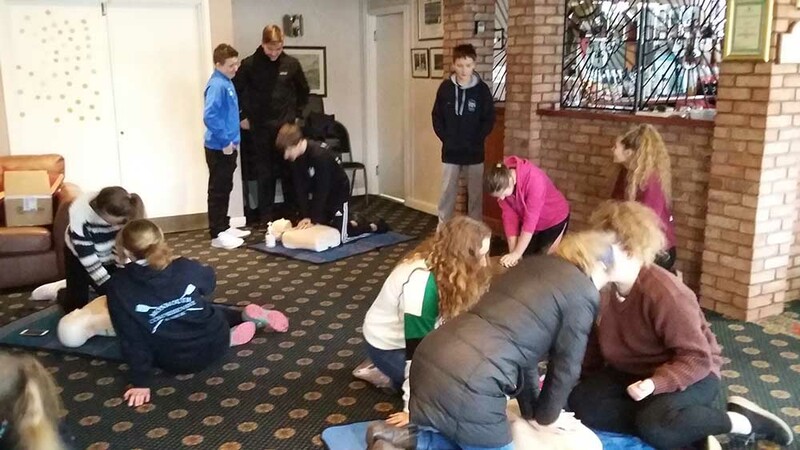 Seventeen of their rowers aged between 14 and 18 gave up two hours of their Saturday morning to learn what to do in an emergency. They had great fun participating in the practical elements learning these essential skills that might be required at any time and could help save a life. Would you like us to come to your group or organisation? Contact us to find out how this can be arranged.